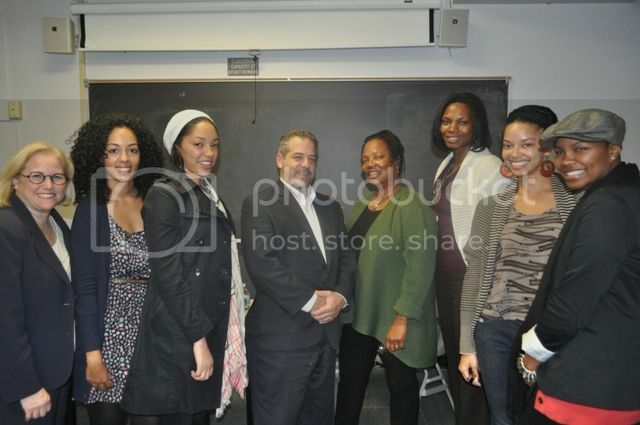 On Tuesday, November 8, 2011, philanthropy expert Erica Hunt delivered a guest lecture on African-American philanthropy to an intimate group of students at New York University. 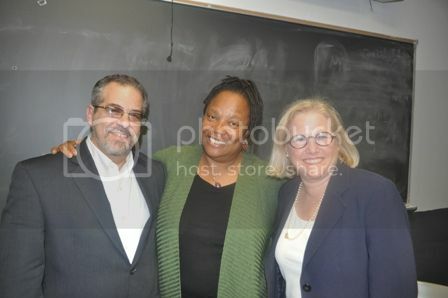 The accomplished poet and former long-time President of the Twenty-First Century Foundation shared her experiences in the field for the George H. Heyman Center for Philanthropy and Fundraising course “Understanding Racial, Ethnic and Gender-Based Philanthropy.” The course, taught by Professors Eugene Miller and Jane Karlin is part of NYU’s George H. Heyman, Jr., Center for Philanthropy and Fundraising’s M.S. in Fundraising and Grantmaking curriculum. 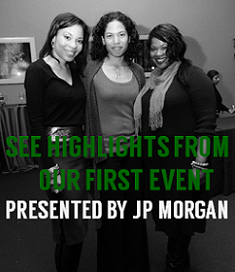 (In photo, left to right: Eugene Miller, Erica Hunt and Jane Karlin). In 1994, she met Robert Span Browne (“Bob”), a forward thinking economist and vocal opponent of the war in Vietnam who used a $1 million gift to endow a foundation for African-Americans in 1971. The Twenty-First Century Foundation, one of the few endowed Black foundations in the United States, works to advance the welfare of the Black community through strategic and collective grant making; special initiatives and research; donor education and donor services. Hunt assumed the helm in 1998 and introduced a public foundation model for the organization. She was faced with the unique challenge of figuring out what kind of board was needed to be successful in raising money from her African-American peers. 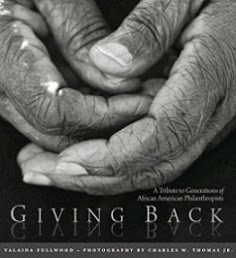 The Twenty-First Century Foundation released two important publications, Time, Talent and Treasure: A Study of Black Philanthropy and African-American Philanthropy: A Legacy of Giving about the ways that Black people give. For the latter, Hunt commissioned photos so African-Americans could “see themselves” as philanthropists. Today, as a writer and organizational consultant, Erica Hunt is writing a history of the Twenty-First Century Foundation and looking forward to what lies ahead for Black Philanthropy in the future.